PUNE: In a first of its kind initiative, a private company, Serum Institute of India, has invested Rs. 100 crore to aid the Pune municipal corporation in cleaning the city. Adar Poonawalla is the CEO of Serum Institute of India. He started The Adar Poonwalla Clean City Initiative (APCC) in 2015 with the aim of cleaning garbage off the Pune streets. This initiative also seeks help from the municipal corporation and citizens in maintaining the cleanliness of the city. My APCC, an app launched by the team can be downloaded by citizens to report garbage issues in the city. Under this initiative, garbage bins at strategic, high traffic locations in Pune have been installed. It also has employees and vehicles clearing litter from these bins as well as chronic waste from various dumping spots across the city. 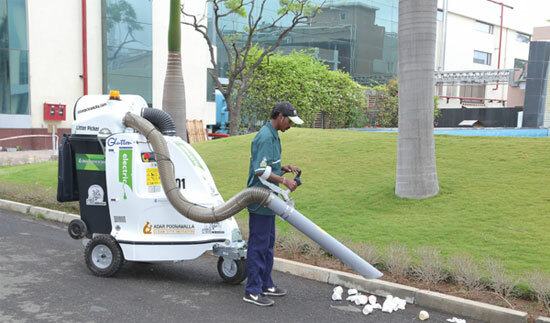 As of now, 170 machines and 300 employees manage the cleaning initiative who clear out the garbage with the help of the equipment purchased. According to a report by Adar, the arsenal includes Glutton vacuum litter picker, trilo vacuum truck, and truck-mounted road sweepers to efficiently pick trash off of roads. “The recent cleanliness rankings by the Swachh Sarvekshan show that we have helped the civic body ensure that it is among the cleanest cities in India. 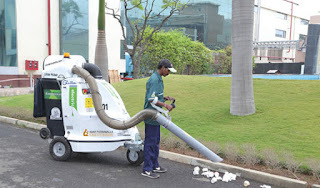 This is done with a team of 300 employees and NGOs working diligently to keep our city clean,” Adar told pune-news.com. The current project covers 400 km of roads in Pune which accounts for 40% of the city. However, the drive is set to expand further, according to the success they receive in the current area. “The second phase will reach the whole city which is approximately 1000 km of roads, and if this succeeds, the model can be replicated in other cities,” reads a statement by Adar. Adar is also keen on setting up an efficient electricity waste plant to finish the job he has started. “We have submitted our proposal and have asked PMC (Pune Municipal Corporation) to give us land for this purpose,” he said.